Can you believe it? Your Wedding is fixed and the dates for D Day is decided!! It’s just few months, very few weekends to go and you have a lot of preparations, we mean, SHOPPING to do, right? We love how versatile and fun these dainty and eternal kundan meena bangles are. They make the PERFECT match for your designer lehenga and saree! We love the shapes of the diamonds going throughout this designer necklace, it’s gorgeous and rightfully so we’ve designed it especially for the new brides. 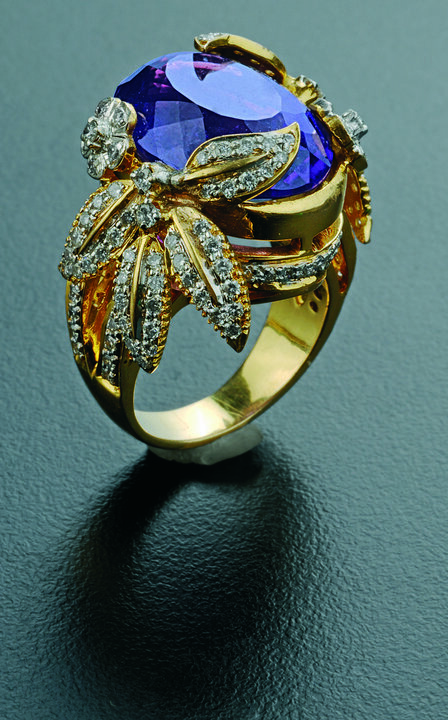 It’s a glamorous ring and it reminds us of powerful woman. We would recommend it for your post wedding ensemble; it’s something we know you would love to flaunt ALL the time. A beautiful blend of diamond polkis and pearl strands, blossoms in the danglers of this gorgeous pair of earrings, They are unique and their craftsmanship is amazing. 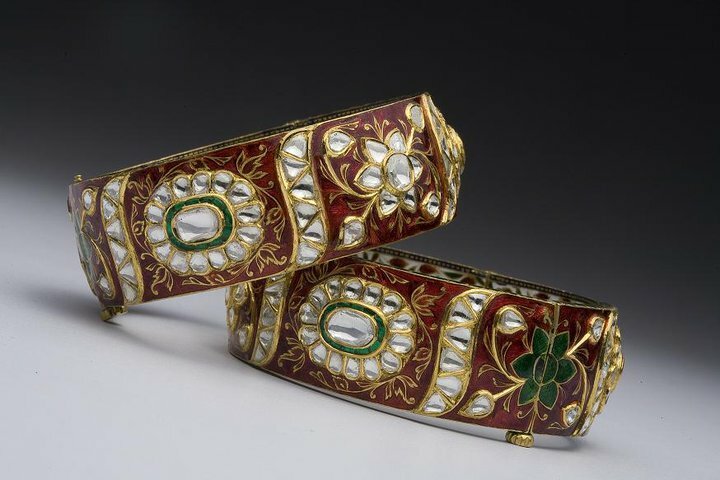 Handcuffs are usually worn by Indian women as a symbol of auspiciousness. 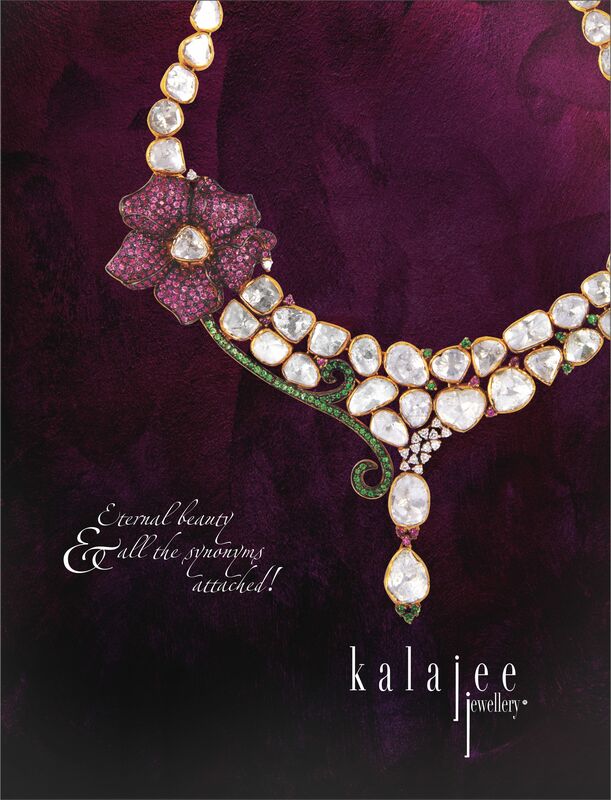 Kalajee Jewellery Jaipur brings to you an exquisite collection of jewellery, as always. These intricate designs are inspired by poetic hues and ethereal gold is liberally accented with diamonds and gemstones in Jadau and Kundan–Meena work. 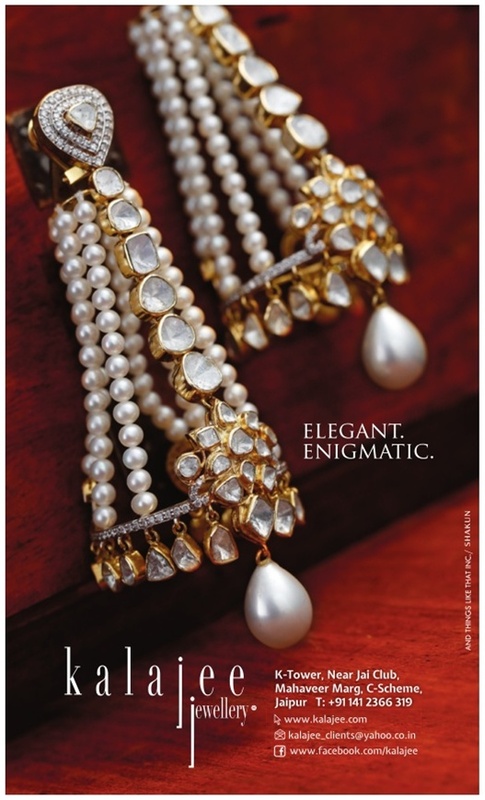 At Kalajee we drench them into regal aura with our fine detailing. Every piece that you see here is as unique and as special as you are. 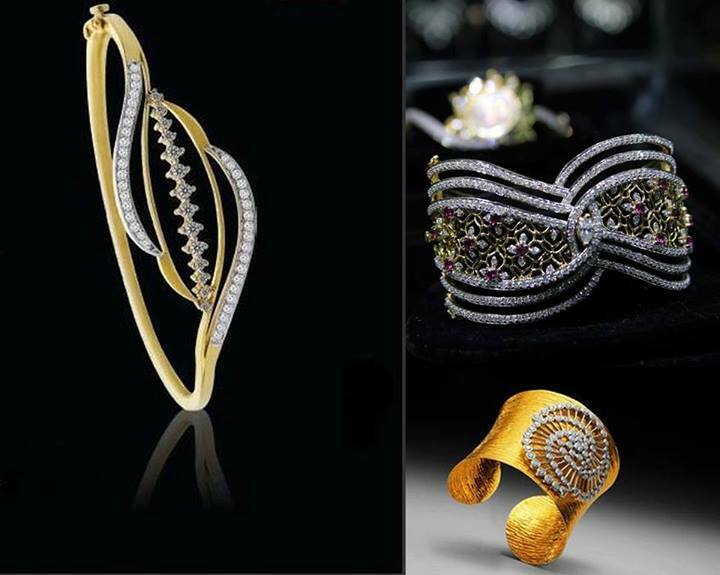 Reach the peak of your aspirations with some of these flamboyant handcuffs and let your hands do the talking for you! Mesmerise the world as they watch your poise.